Chameleon’s hiring program for recovering addicts was featured in a November 15 New Hampshire Public Radio story. Dana Lariviere, Chameleon Group president and CEO says the program is all about giving people a second chance. “Our mistakes should not define us,” he says. Chameleon Group has hired over two dozen people in drug and alcohol recovery into the program since the inception of the program this year. To qualify for the program, workers must be 60 days sober/drug-free, and in compliance with all state probationary conditions. Equally important, people with a violent past are not eligible. Program participants disqualify themselves from the program if they show up for work while “using”. Most importantly, Lariviere says these new hires receive the same rigorous training and support other Chameleon employees do, and are making valuable contributions to the company, which helps businesses around the globe increase their sales. Learn more about Chameleon’s hiring program for recovering addicts. 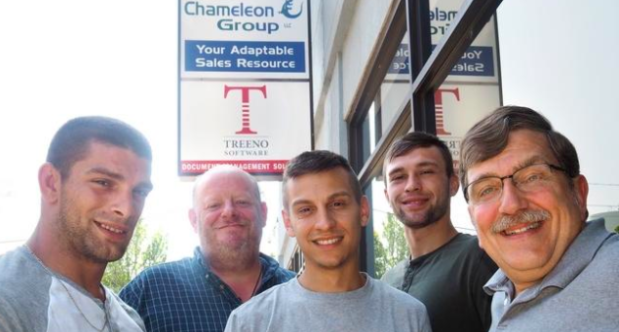 From left to right: Lucas Scarsciotti, John Judge, Gilly Collin, and Jared LaCroix are part of Chameleon Group’s hiring program, started by company President and CEO Dana Lariviere (far right). Advocates say that employers play an important part in solving the NH’s drug crisis. According to NH Public Radio’s November 15 news story, there’s a movement in the state to hire more people in recovery, and Governor Chris Sununu has taken measures to encourage businesses to get on board. “We know that simply hiring people isn’t enough–but it’s a step in the right direction,” Lariviere says, noting that a lot needs to be done to remove the stigma around drug addiction. “The past is the past. This is about looking forward. If you’re willing to work, we’re happy to have you,” he adds. To summarize, as our name suggests, we adapt our leading business development and sales solutions to your existing environment. In addition, Chameleon has a proven business development track record. 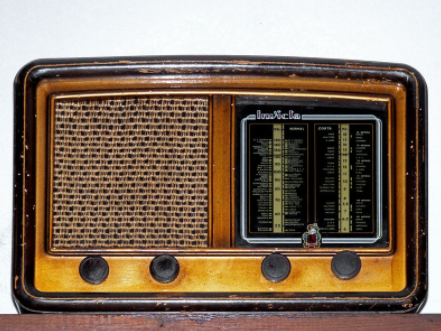 To put it another way, our team quickly assembles specialized sales teams and customized programs. Companies around the globe who partner with us minimize risks and realize success. To learn more about Chameleon, contact us today.